The holiday season is upon us and you know what that means! Holiday parties, food and booze! We want to encourage you to take part in the festivities, and we have some tips and recipes to share with you to make the holiday season a little less taxing on your body. This time of year makes it easy to slip up on your usual nutrition and lifestyle choices. One thing that will make life easier, is to plan your work outs and alcohol intake strategically. If you know you have a big event to attend, don’t plan to train the next day. Rather, train really hard that day, eat a large healthy recovery meal full of protein, plant based carbs and good fats, then proceed with your beverages. Your body will metabolize the liquor much better that way. It’s best to avoid eating large quantities of starch when consuming alcohol as that combo works to slow down your metabolic rate. I know some of you may feel the need to burn off some calories or sweat it out after a night of drinking, but letting the hangover pass through is a good idea seeing that the body can’t effectively grow muscle or synthesis protein in that state. Don’t ruin your muscles, go for a nice walk and get some fresh air, rest up before your next work out, then smash it. While we’re on the subject of alcohol, I know there are many delicious festive drinks out there, but try to limit those types and focus on spirits with club soda for a lower calorie, lower sugar option that your body will metabolize easier. Now you’re probably wondering what to do about all the tempting food choices. Party food can be difficult to avoid all together but there are several ways to make good decisions. If you know there won’t be a sit down dinner component you can always eat before you go. One thing I do at any appetizer type party, is search the food for protein and focus on that with some plants. I’ve also been known to keep nuts or a piece of fruit in my purse at times. If there’s something there you really love to indulge on, go for it in moderation and move on. Take the time to chew it slowly to savor the flavor, texture, etc and enjoy it. Don’t fall into the “what the hell” trap. The “what the hell” theory is how it sounds. People often do this during the holiday season when they eat one bad thing and it’s followed by a full on domino effect of “what the hell, I’ve already broken my diet. What damage will one more bad decision do?” I heard something I loved one time regarding this mindset so I’m going to share it with you. If you dropped your smartphone and it cracked, would you continue to smash it on the ground until it was completely useless? Consider this thought when it comes to how you treat your body. 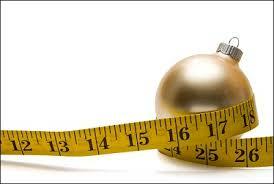 Another option for staying on top of your health and weight management over the holiday season is to offer to host. By hosting you are in full control of the food being served. Have fun with it, research some clean recipes to try, and roll out a menu that will leave everyone impressed without feeling like their guts are about to explode. My biggest tips when it comes to planning a menu to leave people feeling satisfied with their guts at ease, would be to stay away from processed foods and sugars, and antinutrients such as gluten. Here are some links I’ve found with some cleaner treats you might want to try if you feel you must have holiday baking in your life. Please keep in mind, that although these treats use cleaner ingredients than conventional baked goods, they are still made with sugars and should be consumed in moderation! If you have any other questions about what you can do to make this holiday season a success while being considerate of your health, don’t hesitate to ask us! Our nutrition team is always happy to help you be your best. Moving into 2014, we’re looking forward to learning about your latest fitness goals and helping you move toward them. Stop by the front desk, give us a shout at 604-568-6006 or email schedule@kalevfitness.com to set up your nutrition and lifestyle appointments.